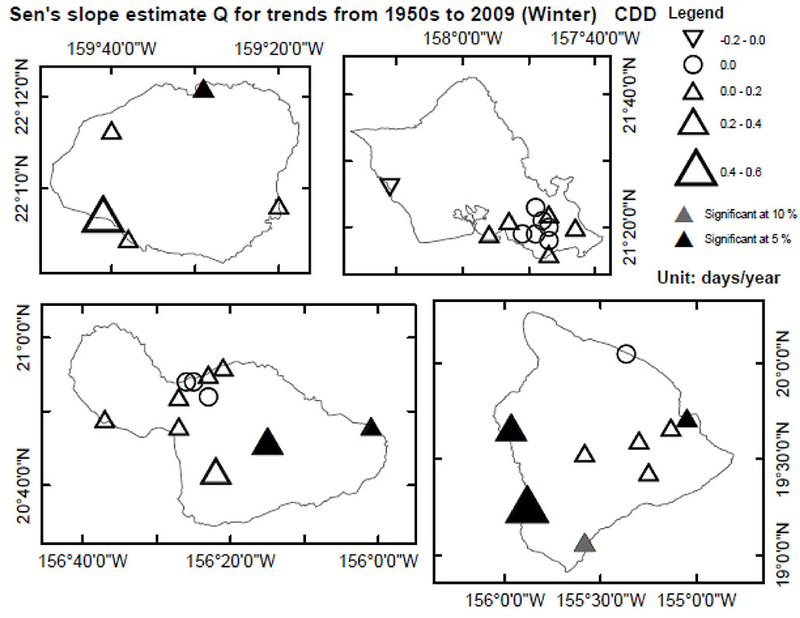 Figure 2-7 All four major Hawaiian Islands (O‘ahu, Kaua‘i, Maui, and Hawai‘i Island) have experienced increasing winter drought severity since the 1950s, defined by a longer annual maximum number of consecutive dry days. Upward triangles denote the increasing drought trends, while downward triangles indicate decreasing trends. Black triangles are significant at the 5% level, and gray at the 10% level.